I reference your site often, thank you! I’ve heard some not so great things about Zarbees which i have been giving my kids. I’m looking for the best Elderberry or immune support gummy if you have any suggestions. Hi Vanessa! Can you share more about what you’ve heard about Zarbee’s? If it’s really a problem then I’ll remove them from this list so would love to know what you’ve heard! For an alternative to Zarbee’s – I’d recommend Olly Kids. It has Elderberry along with other immune boosting ingredients. It does have gelatin (so it’s not veggie friendly) but as long as that’s not an issue for you it should be a great option. Hope that helps! I am using vitaspectrum from klair lab. Just noticed that it doesnt have iron and my son has low ferritin. Can you please suggest some good iron/ ferritin suppliment for 5 years old. Hi! 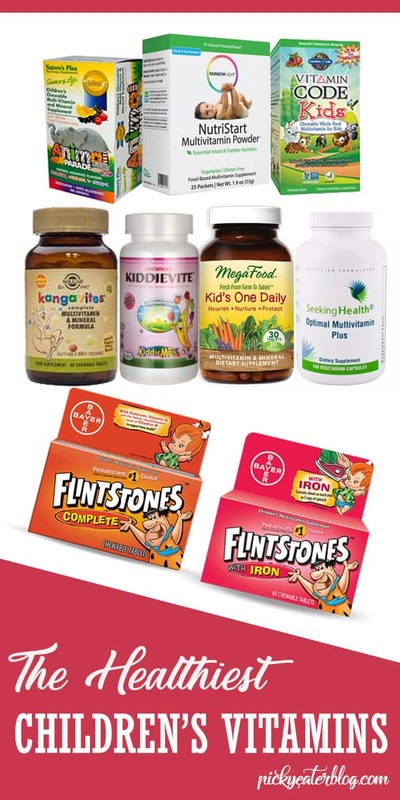 This iron supplement from Nature’s Nutra will work well for your son! Hello! Thank you for this post! I was hoping you (or someone) could answer a question I have. I’ve been giving my son NovaFerrum since he was 4mo as an iron supplement and switched to the multi-vitamin with iron when he was 10mo (as he started to naturally decrease his breastmilk increase in favor of solids during the day). The other day I was looking over the ingredients list more carefully, and noticed it includes Benzoic Acid. I can’t find information on this ingredient. Is this ingredient safe for infants? Thank you. Hi Lindsay! Benzoic Acid is a preservative and is categorized as safe by the FDA, but I don’t love it because when combined with Vitamin C it can form benzene (which is a carcinogen). This article explains it pretty well. That’s actually why I don’t recommend NovaFerrum as an iron supplement for kids and instead recommend Nature’s Nutra which has a cleaner ingredients list. I hope that helps! Let me know if you have any other questions! Thank you! I’ll switch him to Zarbee’s for his multivitamin while he’s still on a liquid supplement. I appreciate the response! What are your top 3 choices for kid’s supplements to increase appetite? Preferably chewable and with probiotics. Hi Essa! The three vitamins that are said to help increase appetite are Vitamin B12 (the methylated version), Vitamin D and Zinc. But I haven’t found any chewable vitamins that have both the methylated version of B12 and a probiotic included. I’d recommend supplementing with this probiotic separately. For the vitamin itself, Super Mini Multi, Naturelo, or Garden of Life would all be good options. Thank you for this article. It is very helpful! I will share with all my Momma friends. Hi, this is all very helpful. My son is 6 months old. He’s been almost excursively breastfed (supplementing with formula occasionally). And we’re starting to explore solids, but not really rushing it. My pediatrician recommending using a multivitamin. I tried Zarbees but he doesn’t really like the taste and I don’t like that its so sticky and seems to stain. I was going to switch to Rainbow light. I wanted to know if you can recommend a DHA. I know nordic naturals seems to also contain vitamin D. Since there is vitamin D in most multis, I wasn’t sure it would be too much for him? Hi Keri! I’m so glad this post was helpful! For DHA, I’d go with this infant DHA from Nordic Naturals. It has 75% of the daily value of Vitamin D for your little one, and Rainbow Light has 50% of the RDA for vitamin D. So you would be a little bit over. I’d ask your pediatrician if that’s ok and if they say it is, then you can go ahead and give both supplements. Otherwise for DHA you can also use ChildLife Cod Liver Oil which only has up to 20% the RDA for Vitamin D — and then you wouldn’t really be overdosing at all. Hope that helps, let me know if you have any other questions! Thanks so much for the reply. Your blog is so helpful and your responses are all so thoughtful. I’ll definitely ask my pediatrician. Do you have any thoughts on Nordic Naturals vegetarian infant DHA? It doesn’t seem to contain vitamin D.
Hi Keri! The vegetarian infant DHA from Nordic Naturals is totally fine to use. It doesn’t include Vitamin D, but you can always just supplement with Vitamin D separately. Recent research has shown that both algae-derived DHA and fish oil have similar bioavailability, so it doesn’t really make a difference which one you use. Hope that helps! 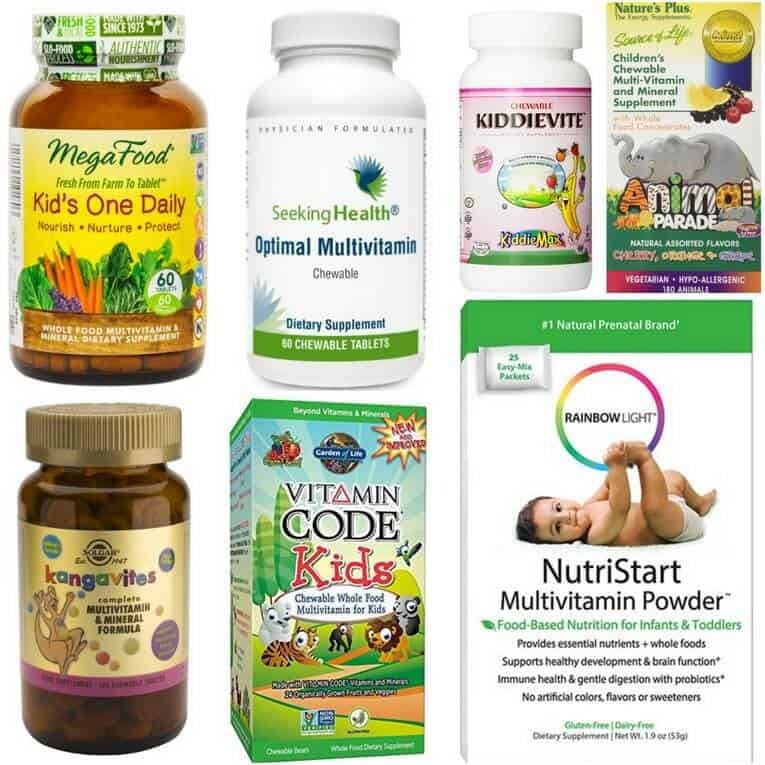 Thanks so much for the great information that so long I’m searching for the best multivitamin for my 8 yrs ol day daughter since she’s very picky eating.Last month I just bought childlife multivitamins for her. Is this good good vitamins no artificial ingredients? Hi Grace! 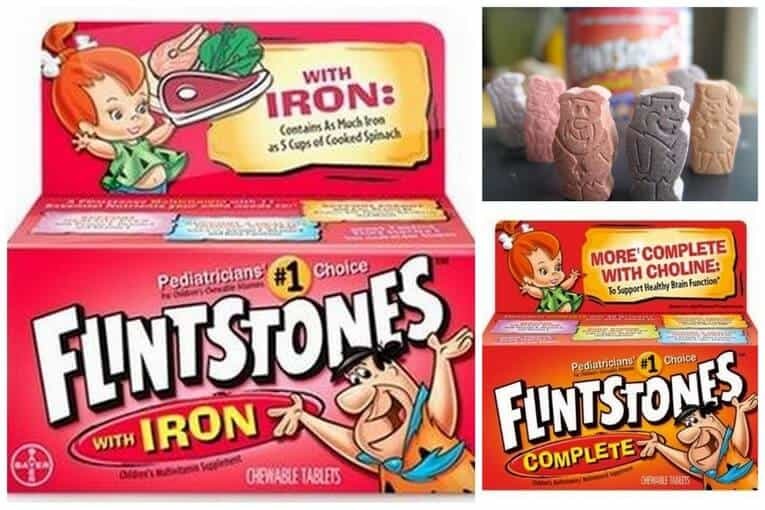 If you bought this vitamin from ChildLife then yes, it’s great! It’s a little higher in sugar than I’d like, but other than that it has good ingredients. If you’re looking for a liquid vitamin with good ingredients that has no sugar added then I’d recommend this one from Premium Children’s. Hope that helps! Hi my son has sickle cell disease,he takes folic acid every day.but don’t eat and not getting weight what vitamins or mutivatimin you recommend me please sorry my English is not to good!! Hi Jennifer! So sorry to hear that your son struggles with sickle cell anemia! That must be so stressful! Regarding which vitamins – deficiencies of vitamin B6, vitamin B12, and folic acid occur more frequently in people with sickle cell anemia than in others – so I’d focus on a vitamin on this list that has a good amount of those b vitamins. If your son is 4 or older, Thorne Research would be the best option for him. If he’s younger than 4, then Super Mini Multi would work well. Hope that helps! Hi Marta! I like this B12 vitamin from MaryRuth – it’s easy to absorb and great for kids! Hi Jesmin! I’d be happy to help you with this but this is something I usually work with parents with in a 1:1 capacity, because it can be quite a complex issue! If you’re interested in learning more, go ahead and schedule a free 20 minute call with me where I can learn more about your son and we can figure out a path forward! Thanks! I have a 2yr with bowl irregularly. Which multi vitamin you recommend with added fiber plus probiotic that’s for his age? Hi Tiffany! Zarbee’s makes a vitamin suitable for 2 year olds that has probiotics added, and Olly Kids does as well. Either of those would be appropriate for your son!